India’s economy has grown fast over the past two decades as women started having fewer children, schooling rates increased rapidly accompanied by decline in the education gender gap, and the labor market returns to education increased. Despite these changes, all of which should have promoted rising participation, urban women’s labor force participation rate has stagnated around 18 percent since the late 1980s, which is very low by the standards of developing countries. 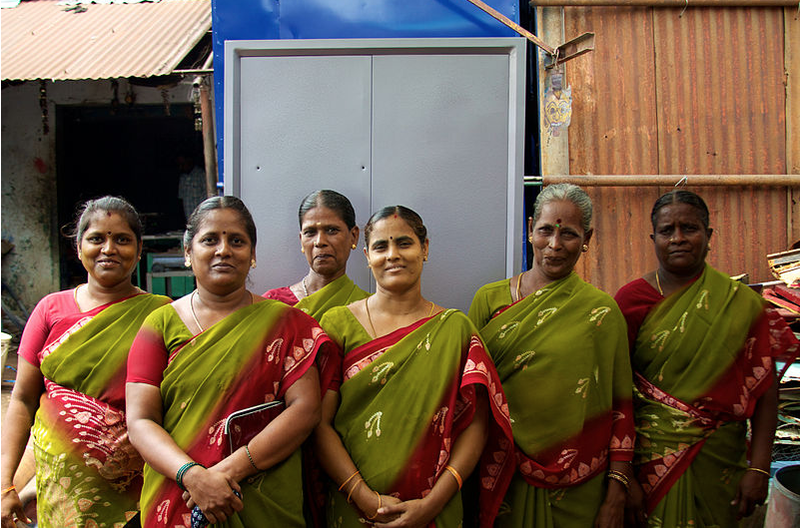 Women operating a cabinet manufacturing business, India. From Wikimedia Commons. Using data from 5 National Sample Survey Employment and Unemployment Surveys spanning 1987/88 to 2009/10, we investigated this surprising stagnation of female labor force participation over the past twenty years (Klasen and Pieters 2013). Our first finding was a U-shaped pattern of the association of female education with female labor force participation. At very low levels of female education, women’s participation rates are high. They are much lower at medium education levels and rise again at higher levels. Over time, this U has become more muted and shifted to higher educational attainment levels. Now the low point is at completed secondary education (compared to completed middle school in the late 1980s) while the increase at the graduate level is much smaller than in 1987/88. In contrast, male participation rates are close to 100 percent and do not differ by education level. We examine the sources of the low and stagnant women’s participation rate in urban India. Our results suggest that both demand and supply side effects have played a quantitatively significant role in accounting for this surprising trend. Among the supply effects, rising education and incomes of husbands have served to significantly lower female participation rates through the well-known income effect, particularly for women with low and intermediate schooling. In addition, a strong stigma against blue collar and menial work for women with medium levels of education has persisted and militated against their greater participation. The presence of parents-in-law in the household also serves to lower female participation. While fertility decline and rising own education helped to increase women’s participation, the positive impact of female graduate education on employment has fallen significantly over time. We find evidence that this is related to a falling propensity of only women with great labor market orientation to sort themselves into graduate education. We also find evidence suggesting that part of the expansion of education has been to improve marriage prospects of women, rather than their employment prospects. But also demand-side factors have played a role. In particular, we find evidence that the local economic structure matters. If local employment has expanded in areas that are not considered suitable for women, women’s participation rates have stagnated or declined. In addition, in districts where the graduate share of the working age population is particularly high, women’s participation has fallen. Thus there appears to be a (local) oversupply of highly educated workers, relative to the growth in jobs considered appropriate by and for educated women. The results point to some worrying implications which are also the topic of some discussion in India (Sudarshan and Bhattacharya 2009, Shrinivasan 2013, Subramanya 2013). First, these low participation rates imply that India is unlikely to reap the demographic dividend associated with its currently favorable demographic constellation of a rising share of the working age population relative to young and old dependents. In East Asia, this demographic dividend is estimated to have accounted for up to a third of per capita growth rates since the early 1980s. High and rising female participation was a key element of that effect, which is not present in India; this could seriously undermine India’s growth prospects. Second, there is overwhelming literature demonstrating the effects of women’s employment and earnings on their bargaining power, with positive impacts on their well-being as well as that of their children. 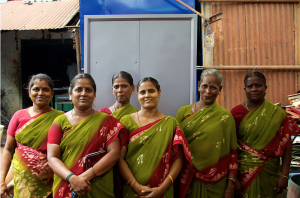 If India’s growth is not drawing women in, these empowerment effects will not materialize. What can be done? On the demand side, employment growth in urban India has been concentrated in construction and low-skilled services, but from the perspective of women’s labor force participation a different growth strategy would be warranted; a more female-intensive, export-oriented growth strategy (as has been pursued in many East Asian economies as well as in neighboring Bangladesh) would substantially increase female employment opportunities for those in the middle of the education distribution. On the supply side, policies explicitly promoting the social acceptability of women’s employment outside the public sector (including public awareness and information campaigns promoting female employment in schools, universities, and firms), policies to allow a greater compatibility of women’s employment with domestic responsibilities and policies to improve the safety of women workers in the private sector could also draw more women into the workforce (Jensen 2012). Ultimately, however, values and attitudes towards women’s employment will need to change in order to change this state of affairs. These changes include the social acceptance of women’s employment for women with children and greater acceptance of female employment in traditionally male-dominated fields. In this sense, a politicization of the issue might be key. Klasen, Stephan and Janneke Pieters. 2013. What Explains the Stagnation of Female Labor Force Participation in Urban India? IZA Discussion Paper 7597. Sudarshan, Ratna M. and Shrayana Bhattacharya. 2009. “Through the Magnifying Glass: Women’s Work and Labor Force Participation in Urban Delhi.” Economic and Political Weekly 44, pp. 59–66. Shrinivasan, Rukmini. 2013. “No Country for Working Women: A Story in Five Graphs.” Times of India Development Dialogue, March 10, 2013. Subramanya, Rupa. 2013. “Why Female Labour Force Participation in India is Low.” Business Standard, October 08, 2013. Jensen, Robert. 2012. “Do Labor Market Opportunities Affect Young Women’s Work and Family Decisions: Experimental Evidence from India.” Quarterly Journal of Economics 127, pp. 753–792. Kapsos, Steven and Andrea Silberman. 2014. Understanding the Recent Decline in Female Labor Force Participation in India. New Delhi, ILO, forthcoming.